is a groundbreaking resource brimming with insights, resources and strategies passionately shared by 17 teachers, educational leaders, and community activists around the world. These are quiet heroes, doing vital work each day, with little attention beyond the appreciation of their own school communities...until now. On these pages, they provide first-hand accounts of successes, challenges, and lessons learned. Each chapter sings with the authentic voice of the author. 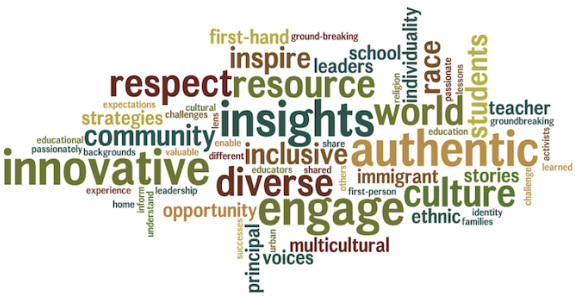 Whether you are seeking insights on classroom strategies, bullying prevention, parent engagement, leadership for equity, culturally responsive teaching, or just greater understanding of diversity, these words will engage you, challenge you, inform you, and most of all inspire you. 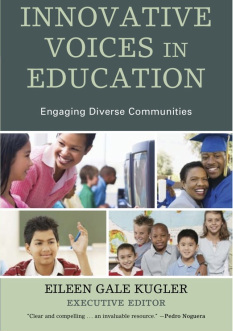 Eileen Gale Kugler, executive editor, is a global speaker on the benefits that diversity brings schools, communities and workplaces, challenging stakeholders to break through "myth perceptions" about race and all aspects of culture. She is the author of the award-winning book Debunking the Middle-class Myth: Why Diverse Schools Are Good For All Kids. Sign up for mailing list and receive 20%-off code! Plus, receive updates and new resources!